Many Chinese herbs taste well and are used to nourish your life. Prof. dr. Li Jie will present agian at the TCM Congress in Rothenburg, Germany. For more information, please visit the prof. dr. Li Jie page at Rothenburg. The Huang Di Nei Jing is the fundament of your TCM treatments. Although this book contains a wealth of information, it is not always easy accessible. During this course the Huang Di Nei Jing will be discussed for clinical application. In other words, what can we use to improve our treatments today. Ying yang and Wu Xing theories in Chinese classical philosophy and medical practices. 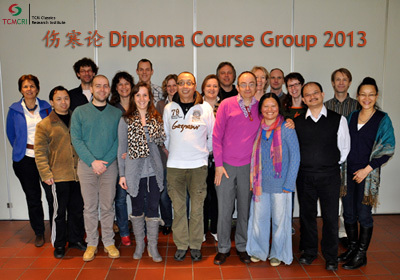 Practical training of TCM diagnosis methods and skills form Huang Di Nei Jing and Nan Jing (Wang,Wen, Wen, Qie). Shen, Jing, Qi, Xue, Jin-Ye, Sui. Zang Xiang (‘Zangfuology’) and Jing Luo (Meridianology). Bing Yin (etiology) and Bing Ji (pathological mechanisms of diseases). Strategies and treatment principles for herbal medicine and acupuncture. Yang Sheng (nourishment of life). This 12 day course will start autumn 2017 and can be attended by students, teachers and TCM professionals. More information and literature will be published as soon as possible on this website. For more information and registration, please visit the course description page. This is the first article of the Quality Guidelines in Classical TCM series. In these articles Kris Oosting explores the classical TCM texts for quality guidelines which are still applicable for today's clinical practice. The first article is about the Three Levels of TCM Doctors - download here. The second article will be about Disease Prevention. The third article will cover Mistreatment, Disease Transmission and Disease Transmutation. Kris Oosting is vice-chairman of the Dutch ISO committee for quality standards and normalization for TCM. 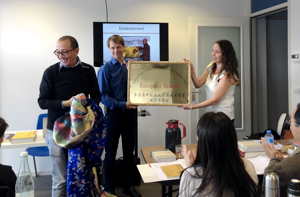 December 2014 - we have finished another run of the Practical Jin Gui Yao Lüe course. During this course the participants learned how to use the classical herbal formulas for complex modern diseases. Prof. dr. Li Jie guided everybody carefully through the powerful world of classical formulas. By understanding the deeper mechanisms of the formulas one can successfully apply these to complex diseases. Some participants will conclude this course with a paper on a choosen subject. 24th July 2014, Ji Nan China: prof. dr. Li Jie received the official appointment by prof. Wang Xinlu as president and inherited fellowship of the European Branch of the ‘Qi Lu Nei Ke Shi Bing Liu Pai Chuan Cheng Gong Zuo Shi’ (China National Inheritance of TCM Academy, Qi Lu School for Miscellaneous Disease)’, which is one of China’s 64 national authorized academic inheritance TCM schools. In April 2014, prof. Wang Xinlu was recognized by the China national administration as the principal professor and lineage holder of the Qi Lu Nei Ke Shi Bing Liu Pai Chuan Cheng Gong Zuo Shi. He has the authority to appoint new master students and fellows of his Qi Lu school. Prof. Wang Xinlu was the president of the Shan Dong TCM University for 15 years, and he is now the honorary president of this university. He is Vice-chairman of the China National TCM Association, and a member of the standing committee of China National Congress, and vice-chairman of the Shan Dong Congress Committee and is responsible for medical issues. More information about this historic fact will be placed as soon as possible. Left: prof. dr. Li Jie, middle: Kris Oosting, right: Renate Bekker. The difference between Qihai and Guanyuan has been published in Volume 11, No.3 (September 2014). 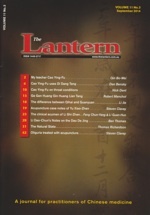 For more information about The Lantern, please visit: this website. 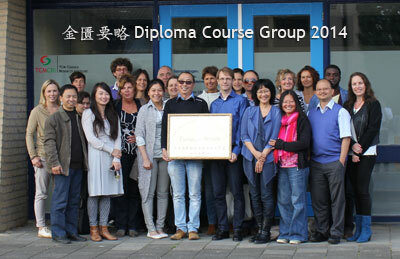 On february 1st we started this great course with an enthusiastic group of practitioners. They have all presented their essay and graduated in September 2013. Congratulations!